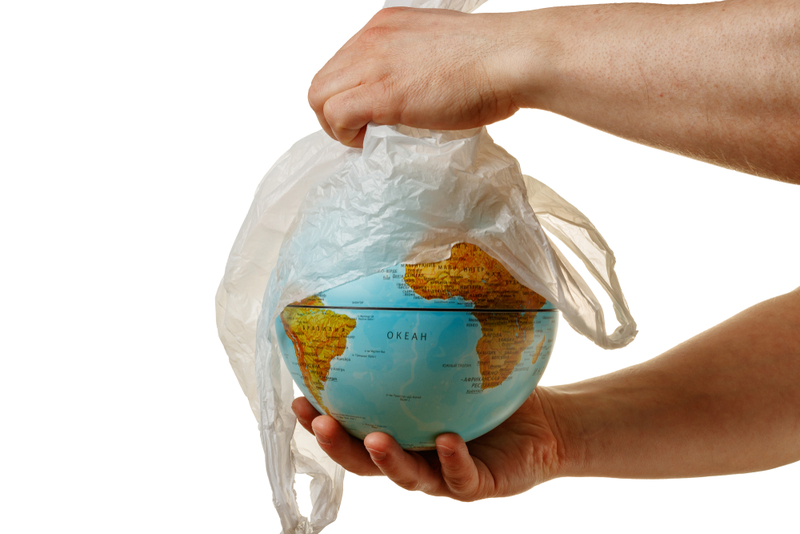 Garbage, Plastics, Climate Change – Crisis or Opportunity? You are here: Home / Entrepreneurship / Garbage, Plastics, Climate Change – Crisis or Opportunity? A few days ago, the residents of Mumbai experienced a situation where the sea literally ‘gave it back’ to them. The sea dumped 12,000 tons of debris and garbage into some of the city’s most elite neighborhoods during a high tide. It’s a sobering reminder that unmitigated development across the globe has come at a great cost to the earth and our environment. The widely reported water crisis in Cape Town with the threat of ‘Day Zero,’ when the city will actually run out for water, is a warning signal for all. From Sao Paolo to Mexico City to Melbourne to Bangalore, the threat of running out of water looms large. Climate change is no longer a vague risk but a real situation. The Earth’s average surface temperature has seen a rise of about 1.62 degrees since the late 19th century. These are not minor inconveniences. They are issues that could threaten our very existence. Unfortunately, the initiatives taken by governments as well as large corporations across the globe have been woefully inadequate and largely unenthusiastic. That’s why it was heartening to see some great stories recently on how entrepreneurs are pursuing some of these great challenges of our time, albeit in their own small ways. It was also interesting to see how nicely some of their approaches meshed in with the key techniques in the pursuit of opportunities that I had written about earlier. Here are some interesting stories on effectively pursuing opportunities that address some of the world’s biggest challenges. They’re saving the world, one step at a time. in a landfill or unharvested on farms (according to ReFED, an organization that raises awareness of the problem in the U.S). At the same time, the United Nations Food and Agriculture Organization estimated the topsoil of our planet could only support about 60 more years of harvests, because the farming industry is depleting the soil of necessary nutrients. A juxtaposition of these two facts led to the conception of KDC Ag, which basically turns food waste into fertilizer. The company is earning revenue while doing its bit to solve an environmental crisis. A great example of connecting the dots to find an opportunity that isn’t obvious in plain sight. Poonam Bir Kasturi, a graduate of the National Institute of Design in Ahmedabad, India, and a long-time resident of Bangalore, realized that Bangalore’s burgeoning garbage crisis needed a solution. She realized that simply treating garbage when it reaches the landfills is an inefficient process. Rather, the solution needed to be about preventing the garbage from reaching landfills in the first place. It needed to be a decentralized approach. When she designed her elegant household garbage composter as part of her start-up called the Daily Dump, she followed her hunch that the story telling around this mattered as much as the product itself. Surfacing your hunches is an important technique in the pursuit of opportunities. It wasn’t just about making it convenient to compost, but about making people feel empowered because they were doing their bit to avert the garbage crisis in their city. That’s why the beautiful terracotta composter is made such that people are proud to display it rather than hiding it in some corner of the house. For Biplab Ketan Paul, founder of a unique rain water harvesting start-up called Naireeta Services, his inspiration came from looking beyond the obvious solution. He observed that farming communities in the state of Gujarat in India suffered because prolonged dry spells that alternated with unseasonal rainfall resulting in damaged crops. When he investigated, he found that the issue lay with the high salinity of soil in these arid regions, which creates an impermeable layer that prevents rain water from seeping in. Rather than trying to treat the land to make it less saline, he chose to treat the water issue. The solution, he realized, was simply to find a way to ensure that the water finds a way to go underground when it rains. This way, there is no waterlogging during rains and the stored water can be pumped and used during dry spells. Through this simple idea, he has worked with 14,000 farmers and transformed 40,000 acres of barren or disaster-affected farms. Reframing the problem statement was what helped this entrepreneur find a solution that works. You don’t always need to start big right away. The important thing is to start somewhere so that you can build on it to chart your own journey. A case in point is Seventh Generation Inc., which focuses its marketing and product development on sustainability and conservation of natural resources. It effectively used the enactment approach – starting with one offering and refining and iterating it based on market feedback. Seventh Generation started in 1988 as a mail-order catalog that sold energy-, water- and resource-saving products. It launched its own line of non-toxic and recycled household products a couple of year later and grew from strength to strength. It was acquired by Unilever in 2016. Of course, problems of this magnitude require global resolutions, policies and compliance guidelines too. That being said, there is always a case to be made for leading change in an entrepreneurial way, thorough the pursuit of opportunities. Feel free to share any such stories you may be aware of.